I am a canine psychologist and author. Put simply, that means I study the minds of canine species; mostly domestic dogs, but also their distant ancestor, the grey wolf (canis lupus). Many books have been written on the subject of dog behaviour and training, by authors far more qualified than myself. However, I have always maintained that a sense of humour is an essential quality for anyone working with dogs or involved with their behaviour. Therefore, my first two books are mainly intended to give dog lovers a laugh. 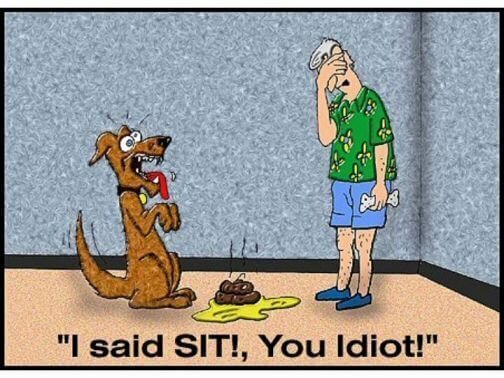 Although they can only be classified as pure farce, they are actually ludicrously exaggerated parodies of situations (involving both dog and human behaviour) I have encountered over many years of treating and modifying dog behaviour. The third, published in December 2017, is not based on humour or farce. Taking place in the southern Iberian peninsula during the Stone Age, it is the fictional story of Amani - the first wolf to befriend humankind and become the predecessor to our pet dogs as we know them today. Available on Amazon in Kindle and paperback editions! Dog behaviour and emotional problems.